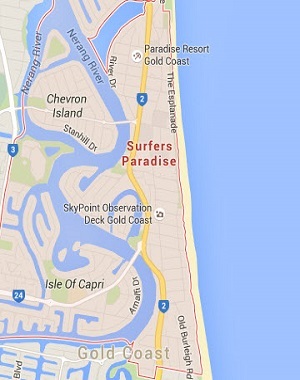 Location of this apartment: Level 19, Boulevard Tower, 6 Orchid Avenue, Surfers Paradise, Gold Coast. This 1 Bedroom Apartment is located on level 19 of the H Residences building in Surfers Paradise and offers guest City Views of Surfers Paradise. 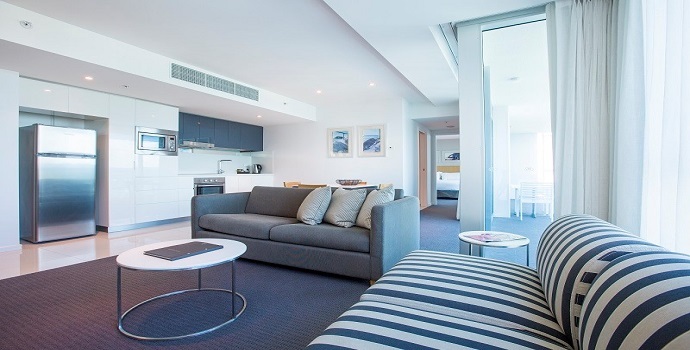 Gold Coast Private Apartments independently manages this fully self-contained, One Bedroom Gold Coast Apartment. This 1 Bedroom Apartments features a dining table with 4 chairs. Also, included is FREE in room Wi-Fi connection. On the balcony there is an outdoor table with 2 chairs. The laundry has an ironing board, iron, vacuum cleaner, washing machine, dryer and basin. This 1 Bedroom Apartment on Level 19 is ideal for 2 Adults and 2 Children.